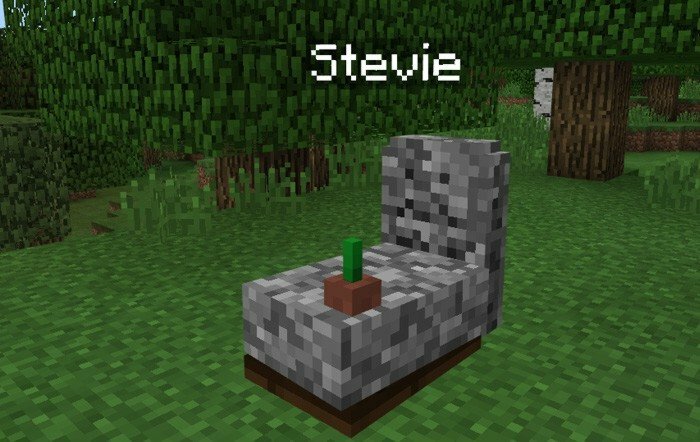 Gravestone mod automatically creates a grave, that contains all the items that you possess at the moment of your death. Every grave will be entitled with a name of the person that lays in it, that should resolve a possible confuse in multiplayer. You will receive a gravestone coordinates in the chat upon every death, and you can retrieve your items back, by destroying the grave. Gravestone mod for MCPE 1.9.0.3 can be useful both in multiplayer and singleplayer mode.